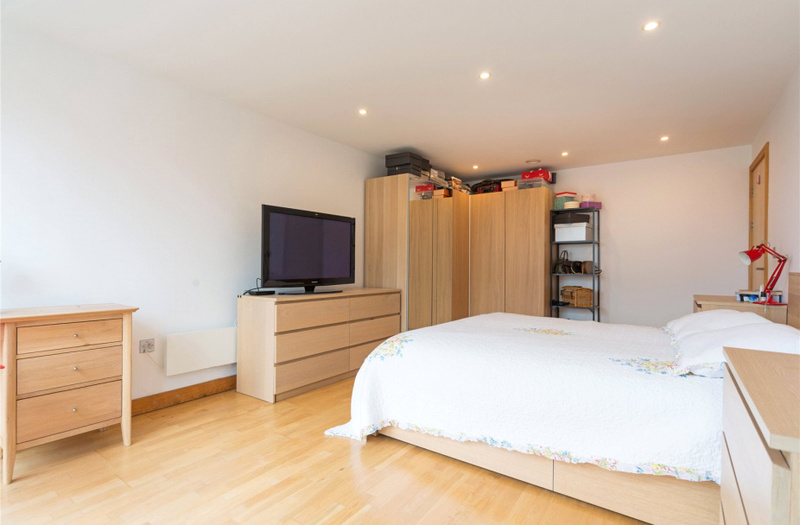 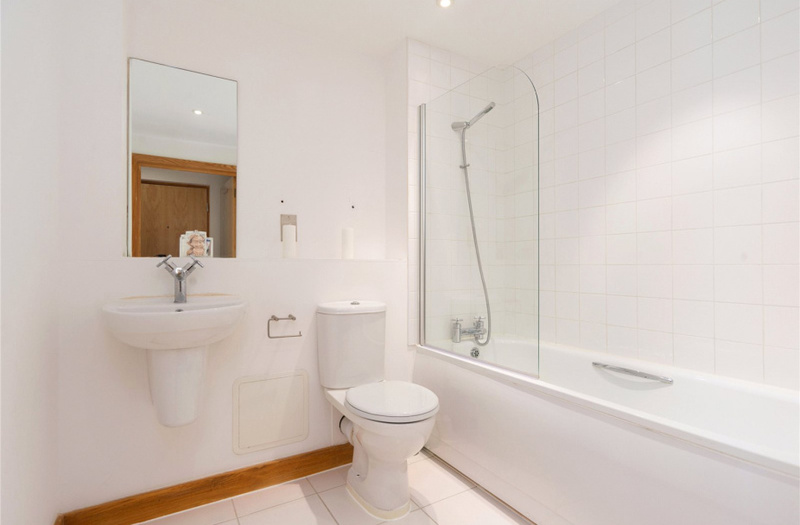 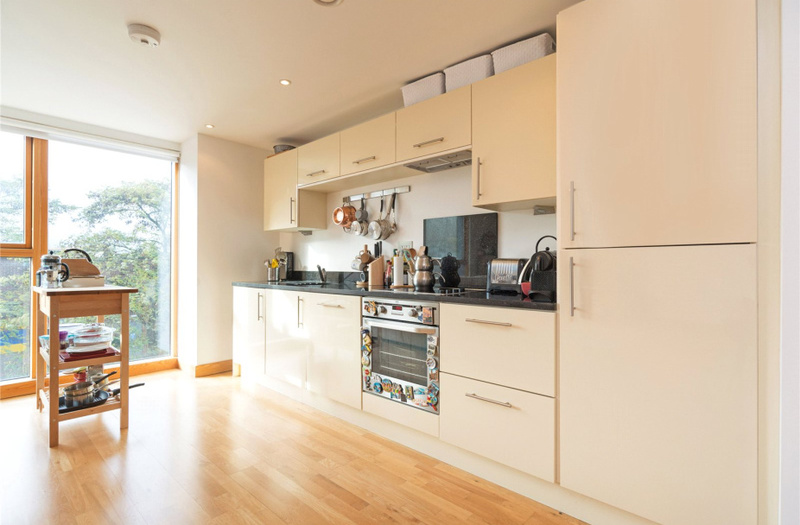 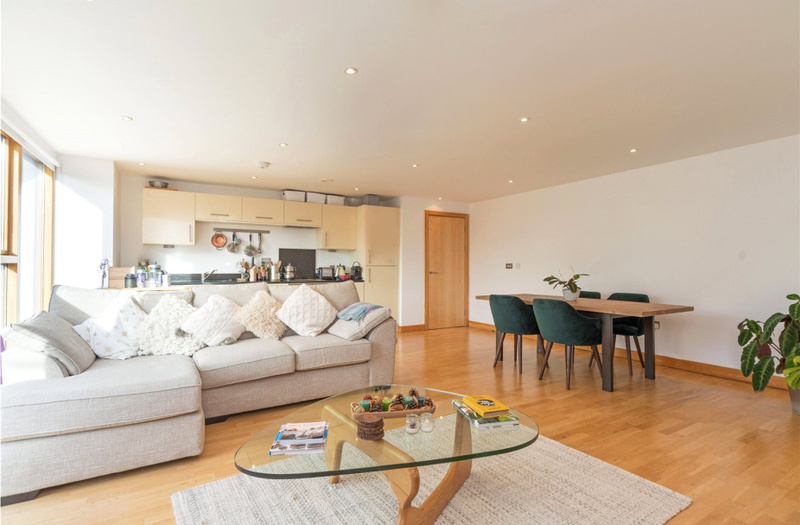 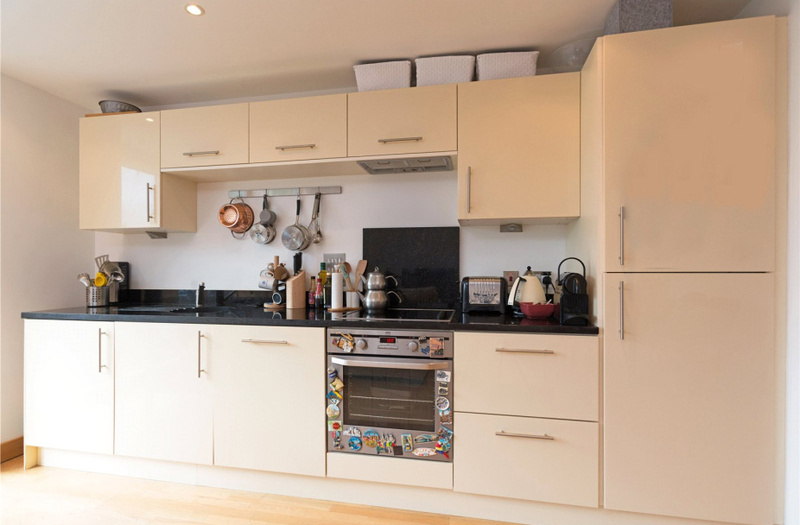 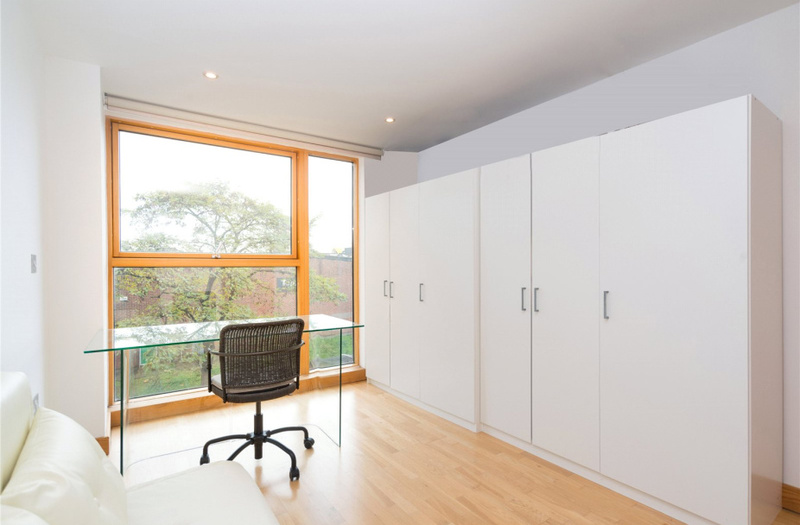 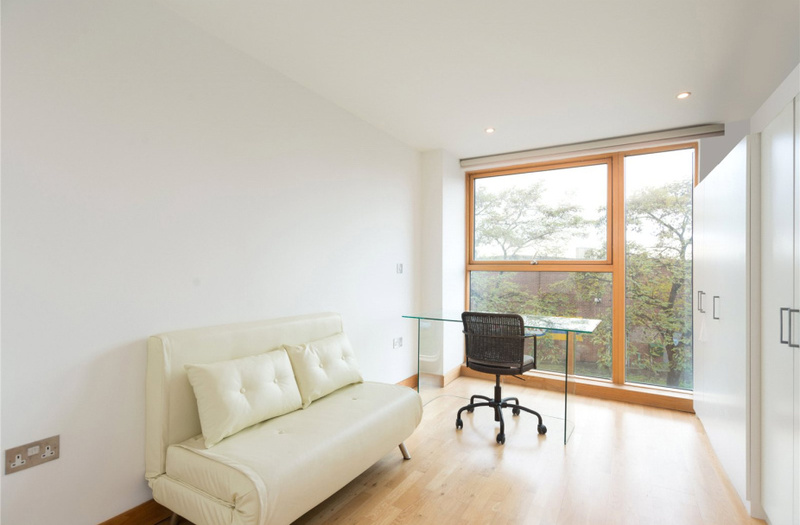 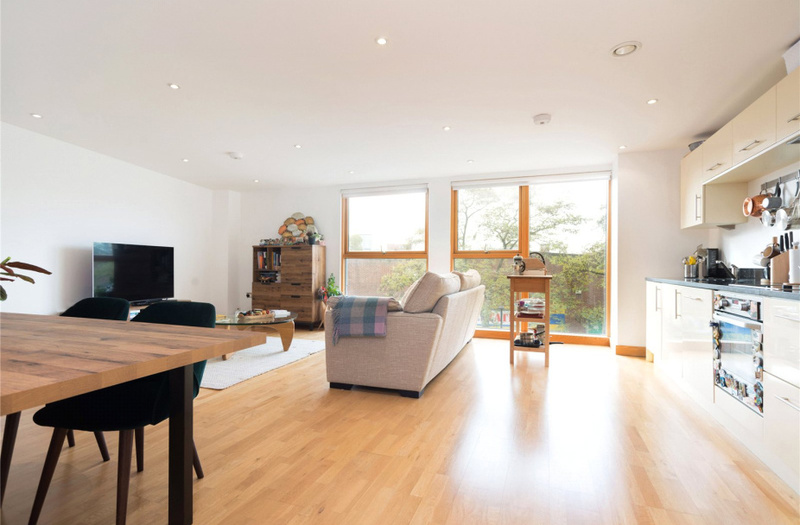 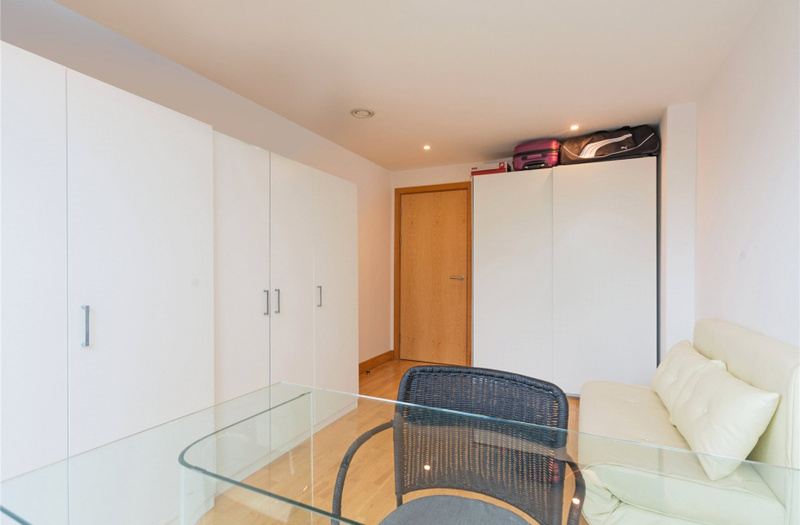 This smart two double bedroom flat in Ink Court, Wick Lane Wharf, E3, offers a huge amount of light and space. 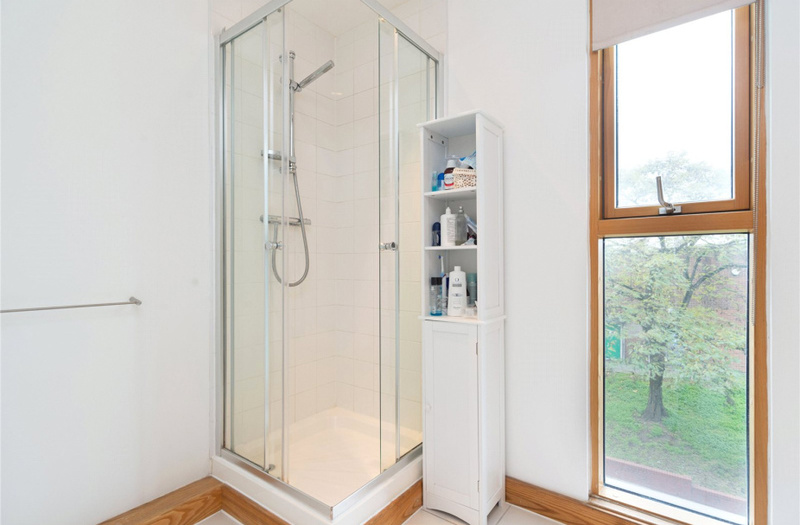 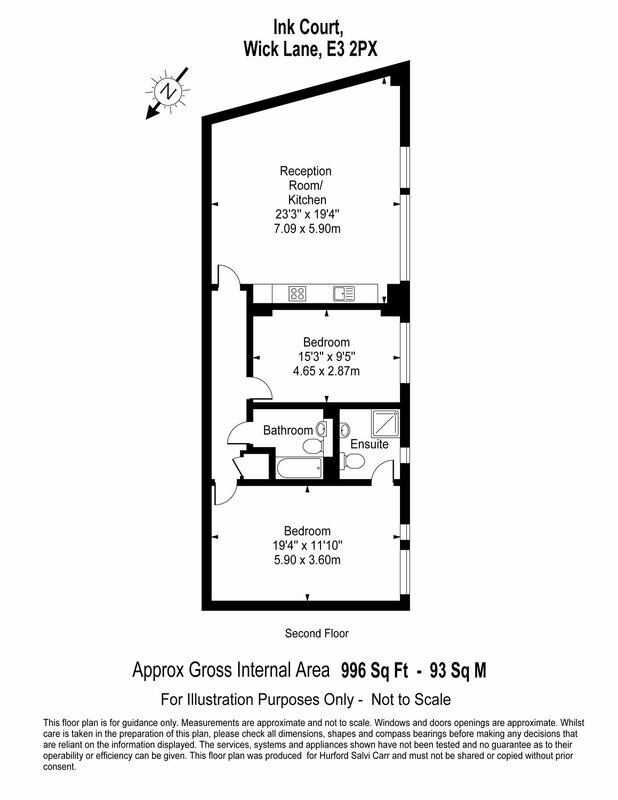 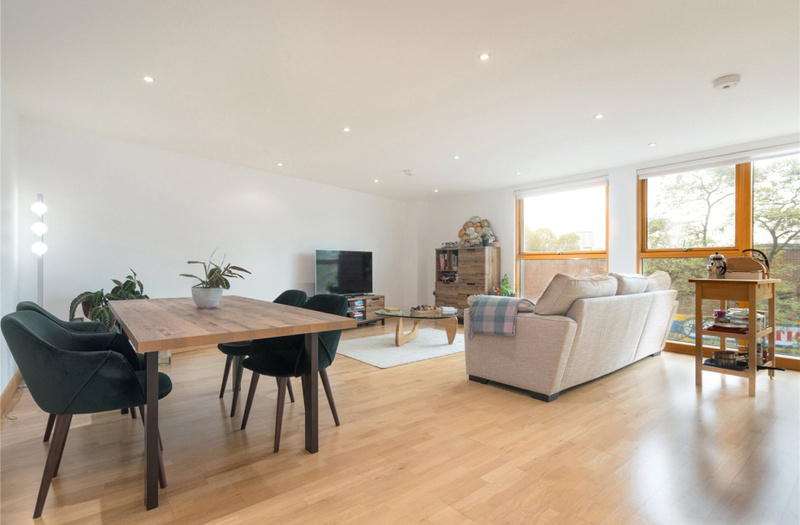 Offering 996sqft/93m2 of living space, this well-appointed flat on the second floor of the secure Ink Court development, has a 23 x 19 foot open plan kitchen reception room, two large double bedrooms, and two bathroom (One being en-suite to the master bedroom). 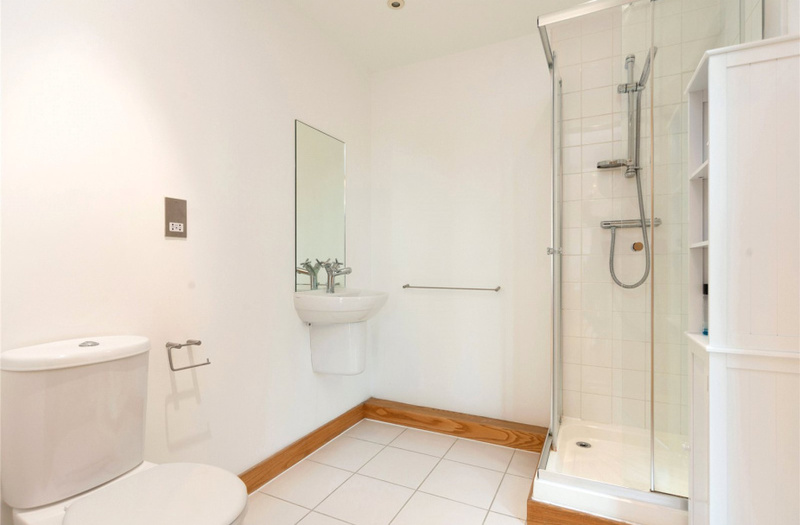 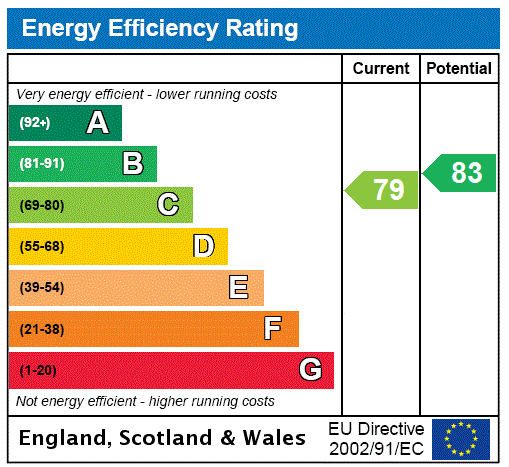 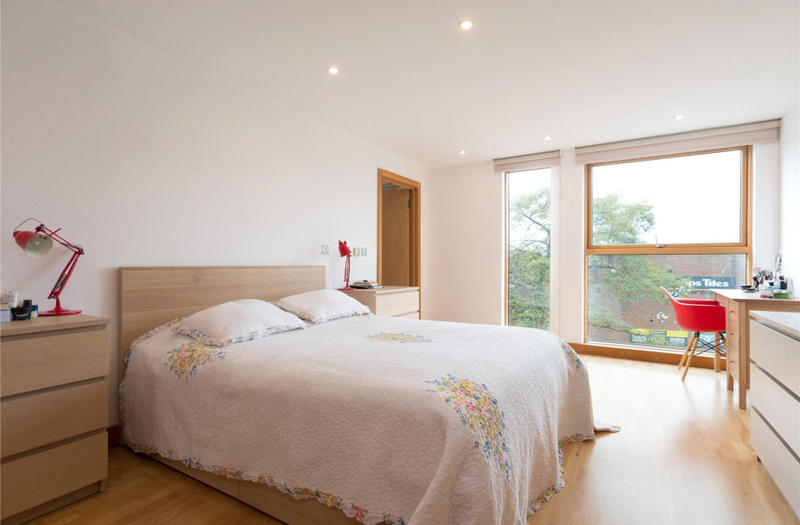 All of the principle rooms have a south/westerly aspect, so they are extremely bright. 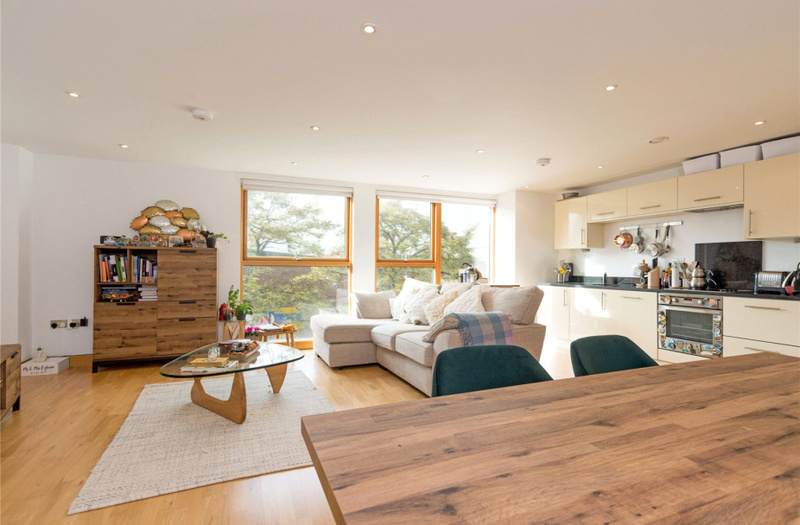 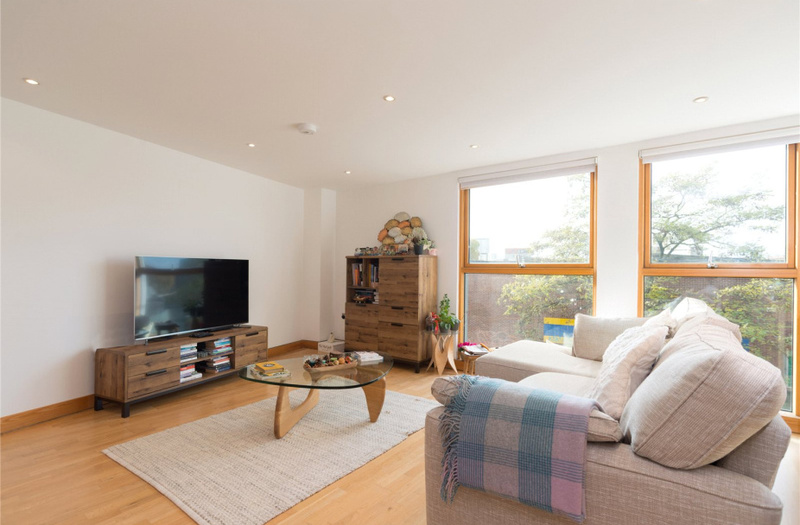 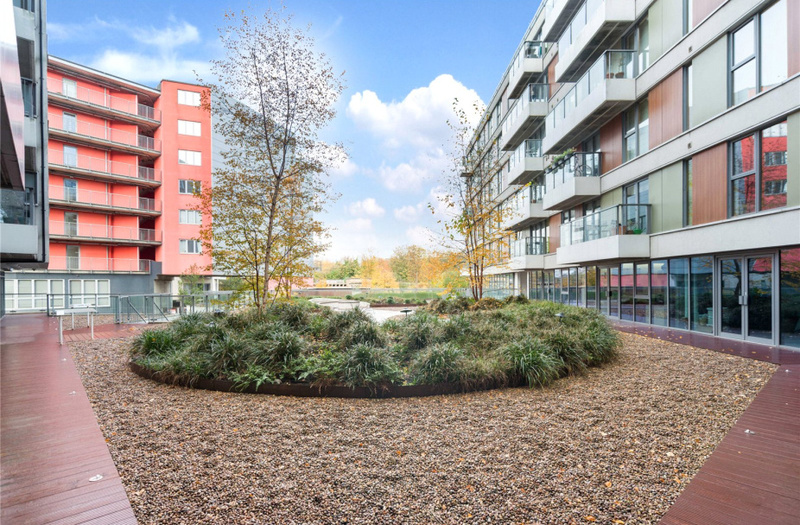 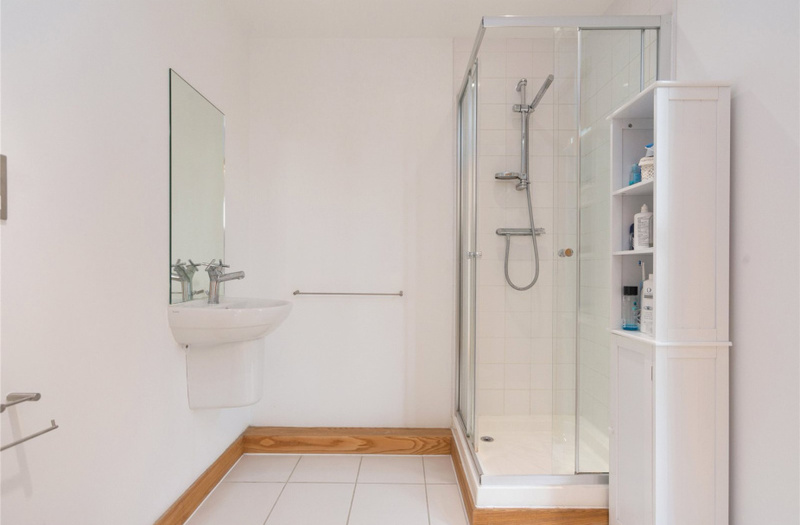 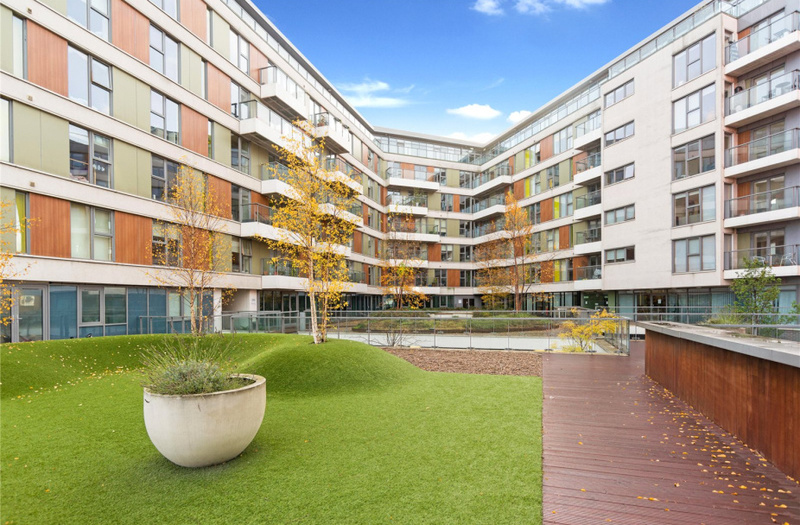 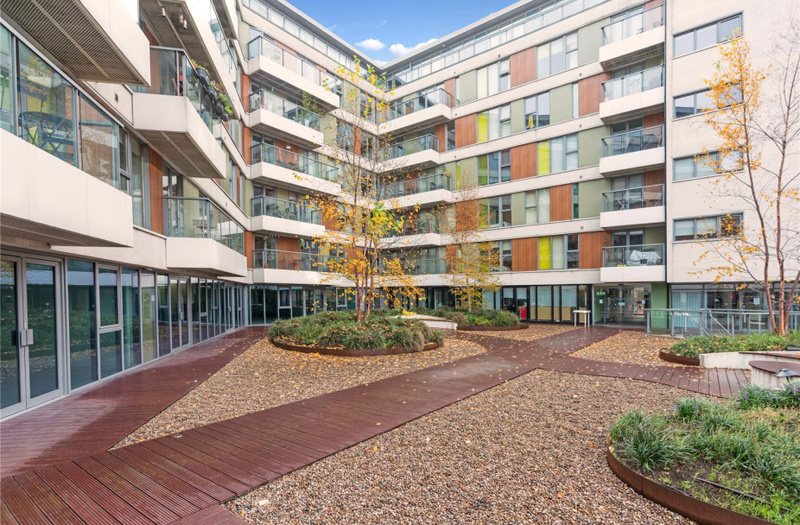 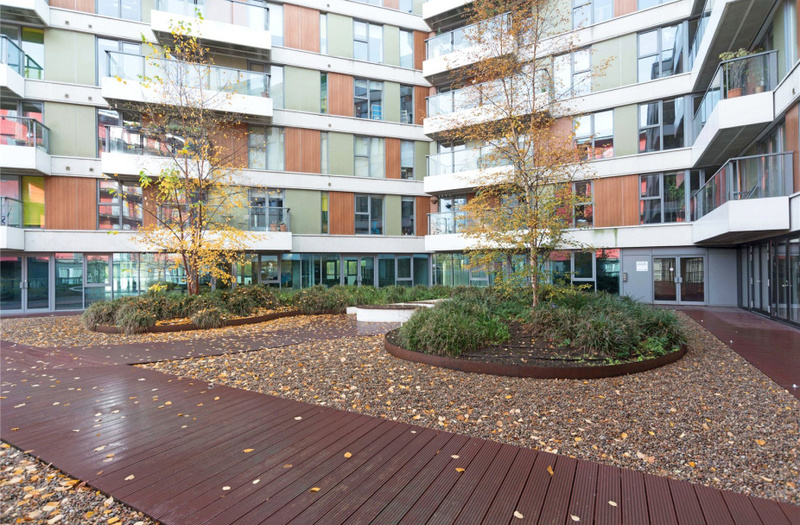 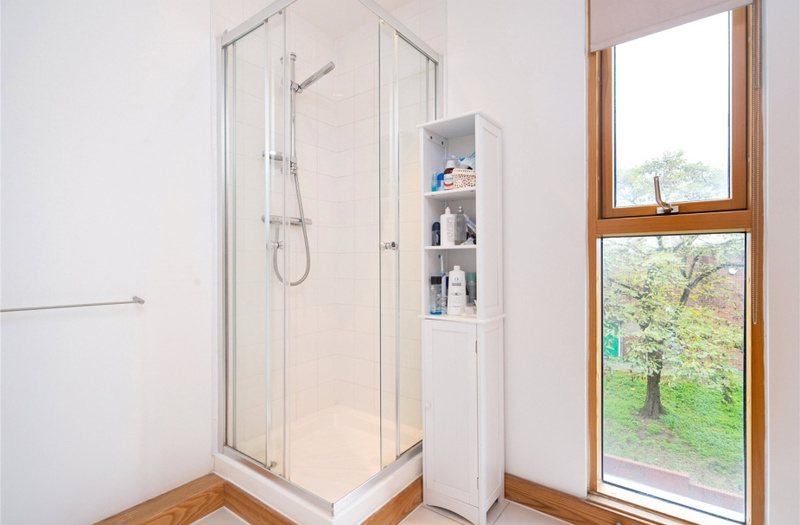 The flat is presented in excellent order, with the benefit of an on-site porter, communal seating area/garden over the River Lea, and a secure parking space. 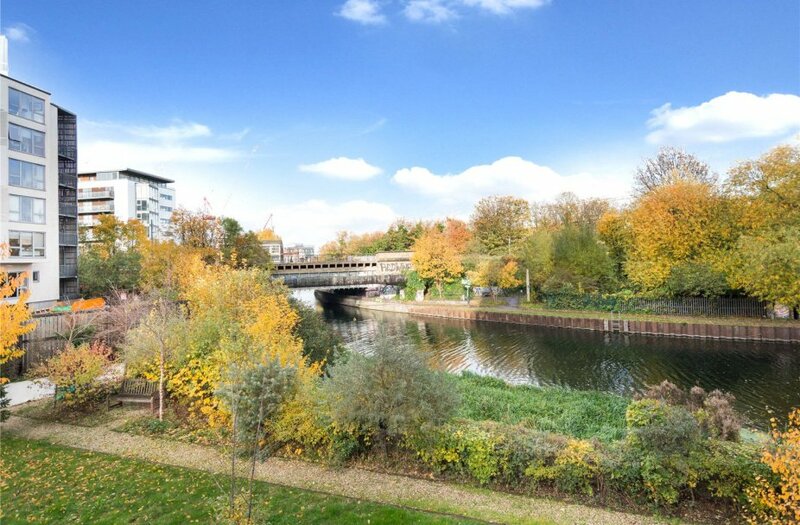 Wick Lane Wharf is part of the exciting Fish Island/Hackney Wick regeneration plan, with a number of growing street food establishments, café`s and bars popping up around this vibrant area. 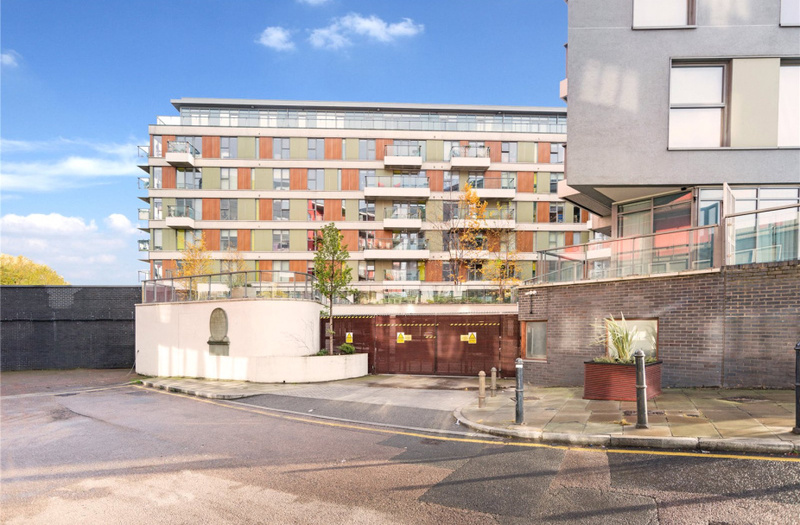 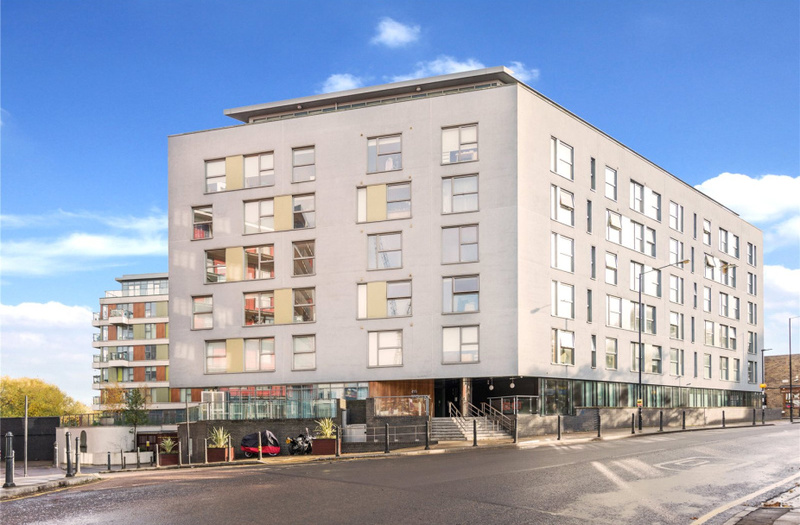 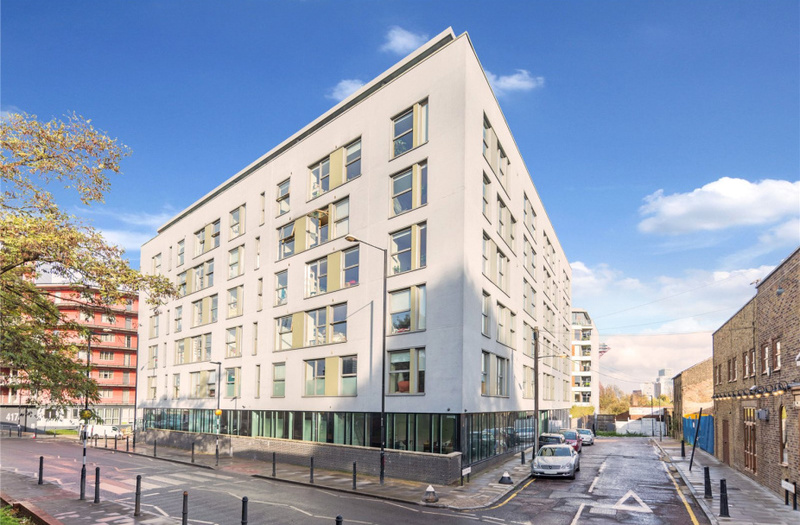 Hackney Wick Overground station, Stratford International and Pudding Mill Lane DLR are all within walking distance, along with several bus routes, giving you easy access to excellent transport links. 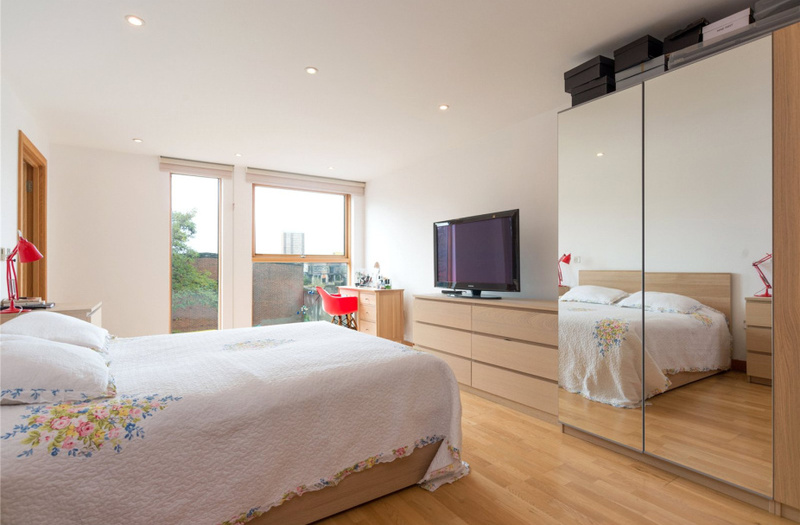 You also have Stratford Westfield close by, with its multitude of shops, bars and restaurants. 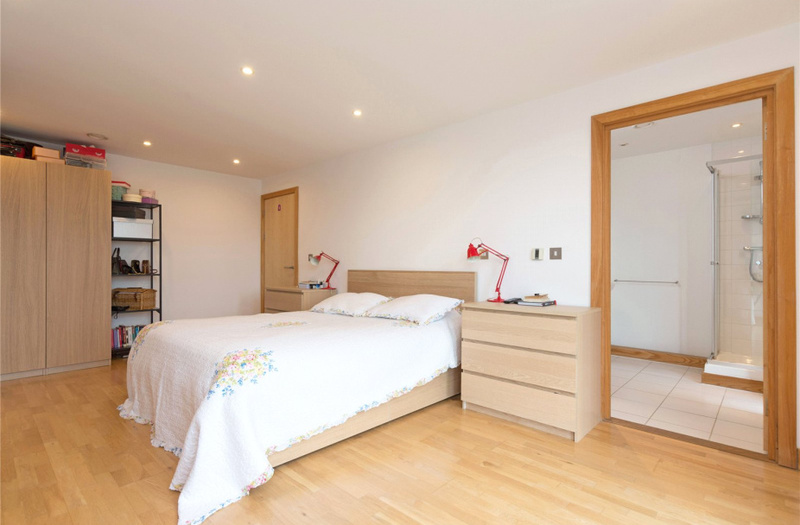 And the London Stadium (Former Olympic Stadium) a short walk away.